Park Farm Hotel & Leisure01603 810264work01603 812104fax HotelWhether your purpose is a leisure break, a special celebration or business, you can be assured of a warm welcome at Park Farm Hotel. Despite our rural location standing in 200 acres of unspoiled Norfolk countryside, the fine city of Norwich is only a few miles away. 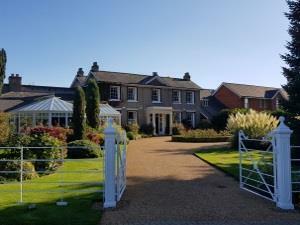 Park Farm is an exclusive country house hotel situated on the outskirts of the beautiful city of Norwich with its Norman Castle, 900 year old Cathedral, shopping malls, theatres and art centres. The original Georgian country house has undergone an extensive programme of renovation and redevelopment, transforming it into one of the leading hotels in Norwich. 6 miles south of Norwich on B1172 opp: Jet Filling Station. 5 Miles Norwich Rail Station.